In recent years, the growing influence of big money in politics has raised alarms with the American people. This central theme of the 2016 election echoes another U.S. presidential contest, exactly 120 years ago, when an unprecedented amount of money from the infamous "robber barons" of the Gilded Age – the likes of John D. Rockefeller and J.P. Morgan – swung the election of 1896 to Republican William McKinley. It goes to show that the steady rise in big money campaign donations, triggered by the 2010 Citizens United v. FEC Supreme Court decision, easily could lead to the very rich buying elections – including the White House. Presumptive GOP nominee and billionaire Donald Trump often bragged during the GOP primaries that he didn't need the money of large donors or special interests because he mostly self-funded his campaign. But that's already changing. This week Trump made a joint fundraising deal with the Republican National Committee that will allow individual donors to contribute as much as $449,400 – miles above the $2,700 cap his campaign by law can accept. Meanwhile, Democrat Sen. Bernie Sanders likes to remind his supporters that most of the money he raises comes from small donors, not "millionaires and billionaires." But Sanders has almost zero chance to defeat Hillary Clinton as the Democratic nominee. And Clinton is already knee-deep in big money donations. Her campaign had raised $213 million through the end of April, while her allied super PACs had raised another $67 million. Clinton has a deal with the Democratic National Committee similar to Trump's. It permits individual donors to give as much as $350,000. Overall, fundraising experts expect total donations to the two presidential candidates to exceed $5 billion this year. 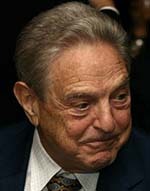 And much of that is coming from deep pockets like billionaire investor George Soros, who plans to spend as much as $13 million in support of Hillary Clinton and other Democrats, and conservative hedge fund manager Robert Mercer, who already has spent more than $14 million on 2016 races. 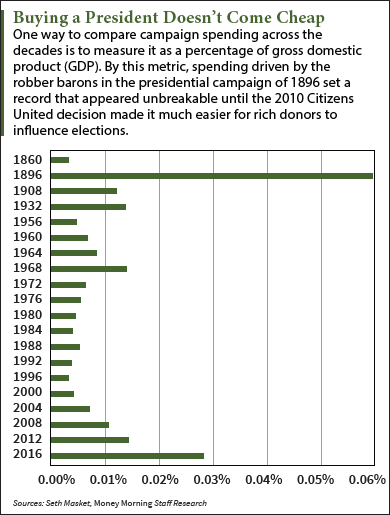 All of this big money in politics increasingly resembles the election of 1896, although back then the donations were lopsidedly in favor of one candidate. The big industrialists and bankers of the late 19th century grew deeply concerned with the outcome of the election of 1896 when the Democratic Party chose firebrand William Jennings Bryan as its nominee. Bryan's signature issue was his hatred of the gold standard, which he blamed for the Panic of 1893. He preferred what was then called "bimetallism," the use of money backed by both silver and gold. Bryan's legendary "Cross of Gold" speech at the Democratic convention swept him to the nomination. In many ways a populist, Bryan also despised the powerful business interests – the railroads, industrialists, and financiers. In particular, he attacked the monopolies or "trusts" that the robber barons had created to minimize competition and maximize profits. A William Jennings Bryan presidency represented a major threat to these business interests. The big money interests at first ignored the obscure Nebraska congressman. But Bryan had a secret weapon – he was an exceptional orator. Bryan went on a non-stop campaign tour, covering 18,000 miles in three months and whipping up support with his populist message. McKinley also had a secret weapon – Ohio Sen. Mark Hanna, an industrialist with connections to big money in New York and Chicago. Hanna was chairman of the Republican National Committee, but served as a de facto McKinley campaign chief. Hanna cleverly played on the fears of the robber barons, starting with an old high school classmate – John D. Rockefeller, the magnate of Standard Oil. Rockefeller donated $250,000 – the equivalent of about $7.2 million in 2016 dollars. Then banker J.P. Morgan donated $250,000. Other robber barons and industrialists soon followed. Hanna made a habit of asking for 0.25% of a donor's assets, and the money poured in. Hanna is thought to have raised about $4 million for McKinley's campaign – worth about $115 million today, but huge relative to the size of the U.S. economy at the time. Hanna used the money to pay for hundreds of surrogate speakers and 250 million pieces of campaign literature – more than three pieces each for every man, woman, and child living in America at the time. The McKinley fundraising juggernaut dwarfed Bryan's efforts. Bryan's most likely largest donor was newspaper publisher William Randolph Hearst, who gave $40,000 (about $1.15 million today). Hearst also helped by attacking McKinley in print. That wasn't enough. The McKinley campaign outspent Bryan by a factor of at least five to one. 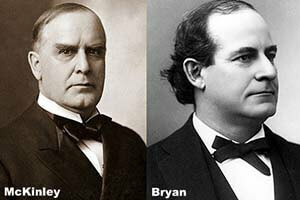 The result at the ballot box was predictable; McKinley won with 271 electoral votes to Bryan's 176. With their vast wealth, the robber barons had won the White House for the Republicans. But that wasn't all. The election of 1896 was a realigning election. It assured Republican dominance in Washington for decades, until the election of Democrat Franklin Delano Roosevelt in 1932. A public backlash to McKinley's big money victory culminated in the 1907 Tillman Act, a ban on direct donations from corporations to federal campaigns. The Citizens United decision in 2010 created a loophole to the Tillman Act allowing corporations to independently spend as much as they like, provided they don't coordinate with a candidate's campaign. The robber barons are back in business. The Bottom Line: In the wake of the Citizens United decision in 2010, big money is pouring into national political races at rate not seen in more than a century. The election of 1896 showed how easily the rich and powerful could buy a presidential election. With today's super-rich ramping up their campaign spending by the millions of dollars, America faces the prospect of a presidential election decided by latter-day robber barons. I agree with your evaluation of the power of the robber barrons. But I would like to bring up the fact that nothing was brought up about the illegal citizen vote. This is probably more damaging than money, sense recently campaign is so open. Where illegal ballots are as scarry as being a 3rd world country. If thats the case I think is is time for this Irishman to go back home. After 143 years being here. The problem, they will probably not let me come back. Can I please have an explaination of how Trump and Clinton can get "special permission" from their respective RNC and DNC to circumvent the $2700 individual donor limit where a donor can contribute several hundred thousand dollars? Why are these rules or laws allowed to be tweaked when needed? Why is this whole system and most associated with it corrupt liars wanting only to line their own pockets. Will this ever change? They all sling mud and they are all shoulder deep in it! Why do our lawmakers and representatives spend the majority of their time fund raising and crony elbow rubbing rather than doing what they were voted in office to do!!?? Please explain!